A small project this time. Quite small by my recent standards. 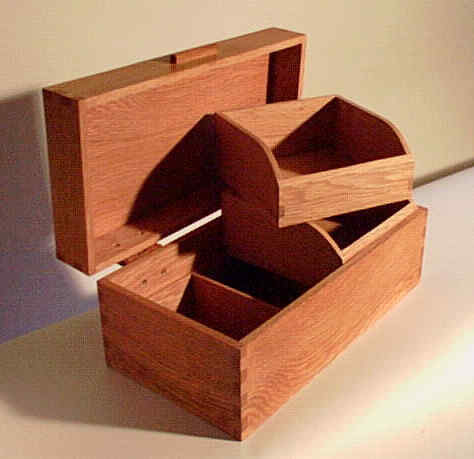 I want to build a small toolchest for myself and felt that having some sort of prototype would help me answer some questions: what sort of joinery works well but is less fiddly than dovetails? how thick does the wood need to be? how should the removable trays be supported? It seemed that it might be possible to kill two birds with one stone and have my prototype and a gift at the same time. 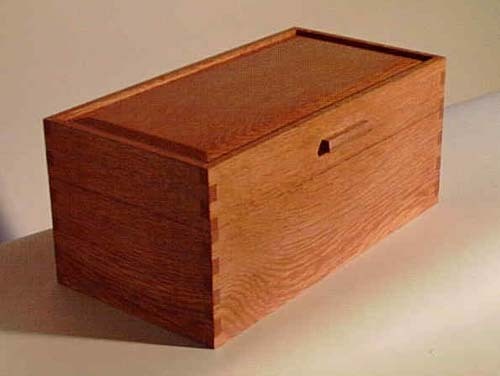 Since my friend Lehua in California has let it slip that she likes oak and that she is fascinated by compartmentalized boxes the die was cast. Overall the box is rather pleasing to me and with luck it will please the intended recipient. 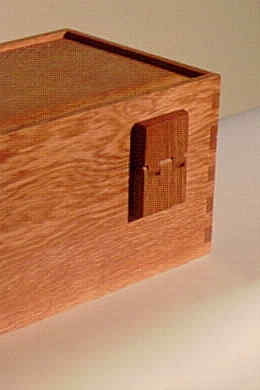 The only regret is that the oak hinges look as clunky as they do even though they work well enough in this application. When the time comes to build tool chests I'll opt for metal.